If you want to make the ultimate statement with your truck, a T-Rex Torch Series Grille is it. They have the same aggressive looks as our X-Metal Series with the highlighting chrome studs around the perimeter of a 12 gauge frame and formed woven mesh. 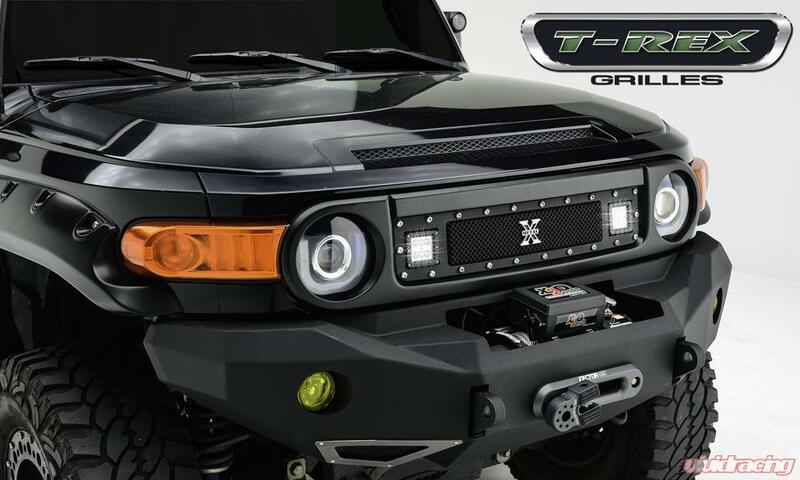 Torch Grilles go one step farther to make it the bad dog of custom grilles with built in ZROADZ LED Lights . From one light up to four depending on the application. All Torch Grilles come with our state of the art, two stage black powder coating and of course are made in the USA. Wiring harness are included with every Torch Grille. Matching bumper grilles and light brackets and lights are also available.